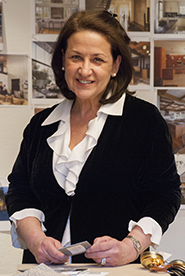 Jackie leads purchasing services for DSK | Interiors. As Administrative Assistant, Jackie provides organizational and bookkeeping support to DSK Interiors clients including residential, commercial, and institutional projects. The DSK | Interiors scope includes finishes, furnishings, accessories, and artwork. Previously, Jackie managed a boutique home furnishings store where she built various administrative, operational, and financial systems from the ground up. She received her undergraduate degree from the Newhouse School of Communications at Syracuse University. She is a self-professed process and detail geek and loves working in creative environments. Jackie enjoys spending time with her family, playing bridge, and taking street dance classes.